Good day, evening or morning to you all. Some of you will be off to bed, others off to work and some unlucky souls at work. 24 hours ago I started the change of something major in my life. It was also very frustrating at the time, but now ,I am still smiling. So what happened, my laptop was invaded by a string of viruses whilst visiting a site for my eldest son, Antony, about the legendary ship, The Mary Rose. Well the Mary Rose not only was very interesting from an educational point of view, it also activated Mcafee into alerting me of trojans. Anyway a few hours later my hard drive had failed, and at 4.00am in the morning I decided, f**k it, I am fed up with wasting so much time on my laptop, I am not going to fix it, I am going to abandon it in favour of my pda phone, the XDA Exec. So here I am 24 hours later, and my laptop looks like a distant memory. My laptop also had other problems. So here I am, ranting or raving to you. Has anything changed? Well, yes. More time to myself. Instead of switching on my laptop, waiting for it to boot up, enter 101 passwords, waiting for Mcafee to kick and ask for more passwords, I pressed the power on button on my Exec. I entered my password, switched wifi on, and while eating breakfast checked my email, several forums where I check if anyone has posted any questions for me to answer on the XDA range, updated the weather and TV guide and retrieved all 90 news feeds. So 3 minutes later, I plug my Exec into the charger and got ready for work. Its a bit chilly in the UK, -3 degrees, so its a brisk walk down to the station, with headphones plugged into my Exec and listening to Madonna’s new album. Its a very good album. So I am on the train, and decided to use my journey to first read the news feeds, reply to any new email , turn shuffle mode on with Wmp10 and start typing this. Its really fascinating as I see curious onlookers trying to see what I am doing. The biggest shock, is the Exec rings, and I pull the headphones out, close the device and talk to a client. So now other passengers look a bit confused. So what happens next? Well tune in tomorrow ! So its been a long weekend. Still no laptop and purely using my Exec. And flipping back to my first article, when I was on a train commuting to work, and my Exec rings, I take a calł and even more stares as I hold a brick to my ear. This phone is so big and heavy. So what happened next. The woman next to me started chatting away, asking tons of questions about my pda phone. Naturally, I obliged and nearly 20 minutes later the final question was ‘where can I buy one and would you help me set it up’? So I thought that would be the last I would ever hear from the lady on the train. 11.00am I received a phone call, and to my surprise the lady on the train had bought one and now wanted some guidance. The strangest part of this, was she was youngish and this now became the 5th lady that bought an XDA after I showed off its wares. So what else happened on Friday? Xmas came early! When I got home there was a huge package from Brando Shopping. I was taken aback by the contents. Inside were 2 cases, a leather and an aluminium , 2 types of screen protectors, a travel mains kit and a sync/charge retractable usb cable. I had a huge smile on my face testing all the bits. Everything from Brando Shopping is fantastic and the range of Exec goodies was of even higher standard. The cases are so customised, I just love them. Anyway, a review will be finished soon on these items. So as Friday had been and gone, I had managed to use the Exec for everything. However, I need to look into printing directly from the Exec, connecting directly to a projector for presentations and inserting images into a word document. I am not sure if Textmaker works on Windows Mobile 5. If anyone has any ideas then please leave in comments section. Over the weekend, I was able to keep up to date with the help sections on the forums and use my email with ease. It seems TomTom Navigator 5 is the choice at the moment judging by all the recent questions. It is worth noting that TomTom have updated v5.0 , so I would recommend everyone to get the new updated application from TomTom. I also had fun beta testing some stunning new games from Astraware. But mums the word on these! The one part of the Exec keyboard that really annoyed me is the omission of the ctrl and alt keys. Well, now I have them thanks to any amazing developer. If anyone is interested, the link is http://www.nicque.com/PQz/ . In my first blogs I had some really interesting feedback and some great insight in how to fix my laptop. Its still a super sized paperweight, but I will have ago this week in trying to fix it and not for me to use, but for my 4 kids. Educational reasons means a working pc at home is essential. I was never a big text fan, but since having the Exec, I appear to be on a mission. So I wonder how many more Exec’s I will sell on the train this morning? So it’s another day with my Exec. I mentioned in part 2 of a wonderful application that allows ctrl and alt keys to work on the keyboard. This little application has proven a real winner. I gather it only works on windows mobile 5 devices, so if you have a K-Jam give it a go. You won’t be disappointed. I have been road testing the new cases and accessories by Brando and so far its really grooving. Its quite amazing that such a range of cases exist for a device from various sources and every case is slightly different. For me this makes choosing one nearly impossible. I noticed 2 updates to my current software, Resco File Explorer 2005 and Tweaks2k2. Resco File Explorer adds new meter skins and a recycle bin, although I am still trying to find the recycle bin option. Maybe it got left out in the trash! The XDA forums are proving more and more popular, with the XDA thread I started “Help form Expert User” now flying past 10,000 views and the XDA Exec Help and Questions rapidly catching up with over 3,000 hits. I must confess that when I started the thread XDA Help etc I never expected it to take off like it has. I find it really interesting when asked questions, because it shows more and more people are moving into converged devices and expect these devices to be more capable than their previous devices. Compromise was the order of the day a year ago when moving to a converged device, but now I believe its the opposite or nearly there. I reckon in 12 months converged devices will wipe the floor with standalone pda’s. Time will tell, but the future bright, the future is…. In case anyone was wondering, this blog has been completely typed on my Exec. I normally type it while commuting to work whilst listening to headphones, amidst a lot of staring from fellow passengers, especially the bloke to my left who is desperately trying to read what I am writing. As part of my trials on living without my pc, I carried a clinical trial to establish my typing speeds on my Exec versus my work pc. To ensure the test was carried out in a professional manner, I asked one of the secretaries to provide a piece of text and time how much I could type on my work pc and my Exec. And the results were staggering. In one minute of copy typing after 3 attempts, I was each time only 2 words per minute slower on my Exec. In my next part I will talk about some of the tweaks and applications I use, and why my Exec doesn’t fail to deliver day in day out. So what’s been happening in the last 24 hours? Well judging by what’s on our TV screens not too much unless you’re hooked on ‘I’m a Celebritiy, Get me out of here’ . The only highlight was seeing Carol Thatcher, the ex Prime Ministers daughter, drop her knickers and pee next to her bed in the jungle. Thank goodness the night cameras weren’t clearer! Or maybe some quick editing occurred. Either way, there are 101 better things to do than watch TV. Where’s my Exec? Yesterday, I mentioned Resco File Explorer 2005 had been updated, and the Recycle Bin was nowhere to be seen. Well after some investigation I found it. Rather disappointingly it is simple virtual folder, which has an allocated amount of space allocated which can be adjusted. I hadn’t installed the today plugin, so within the options of the application there is an option to download it. After jumping from one resco.net web page to another, I was still unable to download this. I cannot understand why Resco.net has a specially formatted mobile site, but has the inability to allow downloads direct to the device! So I will have to use a pc to download and extract file. Ahhhh! If you recall, my laptop was seriously f**ked. Luckily, after the help of a very good friend and wonderful customer service at Micro Anvika in Tottenham Court Road, London, I was able to establish that my laptop’s hard drive had failed. It was only 18 months old, but in a space of 15 minutes the old 40gb drive was out and a new whopping 500gb drive inserted. This is a prototype hard drive by Seagate, but no problems so far. I have since reinstalled all my old software 90% of my docs and discovered some rather interesting photos on my backup cd. So back to Resco Photo Explorer 2005. After installing the latest update I received a message stating that the registration process had changed. After visiting the site it appears that updates are only free for one year, thereafter you get 50% if you re-purchase. Is that fair? Problem is, its one of the best file explorer , with FTP support, today plugin, encryption , zipping, send to options from pc and quick and easy file editing. And whilst there are good freeware alternatives like Totalcommander nothing really comes near to Resco File Explorer. If only I didn’t keep upgrading to the newest devices, I wouldn’t need to upgrade my software. But then, I would not have any fun exploring the latest and newest software. Today has been a really long day. I have travelled from the far corners of outer London starting with a meeting at 9.00am at Heathrow Airport. Later, I travelled all the way to Excel Exhibition Centre, in Docklands, London. And finally attended a posh dinner. Despite this my journey was made easier by the marvellous freeware, Metro. Even back in July following the London bombs, there was an update to the London database to allow for the changes/alterations that occurred. Today, it has proven awesome. For those that haven’t come across Metro, it is a free transport route planner, covering over 360 locations in the world. The beauty of this program is for London it includes not only the Underground, but trains, trams , river buses, places of interest and more. So simply, all I had to do was tap London Heathrow Terminals 1-3 and Excel Exhibition Centre. In under a second, it displayed the route (text only). From the airport, I had to take the Heathrow Express Train, which took 15 minutes into London Paddington. Connect onto the Metropolitan Line, 2 stops to Baker street. Change Jubilee Line to Canning Town. Change Docklands Light Railway to Customs House, and then a 5 minute walk into the exhibition centre. Even as an experienced traveller I would not have thought of using that route which took 74 minutes. According to Tube 2 London by visualit.co.uk, which is for route planning on the Underground only but does include map and moving visuals, the journey time would have been 83 minutes. Anyway, I was just off to bed, when I decided to update my rss news feeds. I took a big gasp, Pocketgear and Handango had listings for updates on all Pdamill.com games. This was really exciting, as whilst no comment had been entered as to what the update was, I knew it could be only one thing. Windows mobile 5 support. And I was right. The only draw back was I had to use my now fixed laptop to install several of their games. Before you shriek in horror, I got my son Antony to install them for me. (he was supposed to be in bed asleep, but I heard him playing on his gameboy) I was really happy. I am amazed at how fast software is being updated to WM5. And Pdamill didn’t charge for any of updates! Plus I now have some of my top games like Flux Challenge, Gamebox Classics and Solitaire and Arvale all rocking on my Exec. So could my day get any better. Well yes, Textmaker had just been updated to work properly on wm5. When microsoft updated wm200se to wm5 they moved the sip keyboard icon and hid 3 icons on the menus within Textmaker. Textmaker is written by http://www.softmaker.de And is the only true comprehensive word processor. Word Mobile is basic and will suit most people, but if you require the full range of editing, then this is the only option. Softmaker also have an Excel alternative called Planmaker. Once I install both these on my Exec I will only have to resolve the printing part. Sadly, you still need a pc to install Textmaker and Planmaker. I believe that direct over the air downloads needs to be the standard norm, that way removing the need for a pc. What do you think about this? Major panic has set in! My 2 gb Sandisk card is showing zero free space. It makes no difference whether I go to the memory applet and check or resco file explorer. All read zero free space. This is impossible. I have just deleted 2 music albums. But still no free space. Then I deleted 300 pics. Still zero free space. I started to panic, I surely wasn’t going to have to reformat my sd card. That would be a nightmare. So I did the obvious soft reset. No change. I removed/inserted card and still no change. I then removed the sd card and did a soft reset without the card, and then re-inserted. Still no change. So maybe time to reformat? That would be heartbreaking to have to reformat the card. I wondered if there were any hidden directories, but resco was set to show hidden files. As a last resort, I connected my Exec to my laptop, set the windows explorer to show all files and voila, I saw sight of a very hidden folder, called, guess now, ‘recycle bin’. I could have cried – resco explorer’s new recycle bin option caused me all this grief. Well at least my sd card is still ok. Yesterday, I installed both textmaker and planmaker. I had a problem installing planmaker whereby the installation process aborted by saying I was installing to a handheld pc, please refer to http://www.softmaker.de For correct version. After checking softmaker’s forums I discovered that it is necessary to have the Exec in portrait mode when installing planmaker. Update – softmaker has just updated this app to provide windows mobile 5 support. I met up tonight with an old friend , Colin, who was ready to do gadget battle. Colin knew (so he thought) that I had an XDA IIs, so after organising the pints of beer, Colin quickly removed the latest Nokia Communicator. I had to laugh. I said to you can’t be serious, that’s not hi-tech. I removed my Exec from my re-enforced coat pocket. Opened it up, lifted the keyboard, swivelled the screen, did a quick 30 sec demo. Colin next remark – you bast**d, that’s much better than my Nokia. Colin did confess the Nokia was really slow. However, based on my knowledge of new devices from all major platforms, the future is really rosy. So 8-9 pints of beer later, what better use of my new Exec than to play ‘google fight’. This is where you type in 2 names and the name which has the highest number of hits wins. So we had great fun, using people like Pamela Anderson and so on. And then in our last tipsy state, tried our own names. All I can say is that the vga screen of the Exec in full screen mode really is wonderful!! Remember, this is a daily blog, so more tomorrow. I intend to talk more about some of the really useful applications and how to get more out of your pda/Exec using the included programs. So from whichever part of the world you’re from its goodbye from me, until tomorrow. This is my second attempt at writing todays blog. I had just finished all bar the last paragraph and I by accident hit a key, lost all the text by two letters and stupidly I exited the document. This was a real disaster since I had created a word document which contained all the daily blogs. Anyway, I opened resco file explorer to see whether a duplicate file had been created and alas, none. But I did see a file with the same name, but with a bak extension. Suddenly, I knew I was in partial luck. I had recently installed Textmaker by http://www.softmaker.de and this WONDERFUL program creates backups automatically. What had happened was that I had decided to use Word Mobile as it did a few things a lot simpler than Textmaker, like capitalise the first letter of each new sentence. That makes typing on my Exec faster. However, after my scare, I am now typing in Textmaker with auto backup every 2 minutes. Textmaker has tons of extra extras which I am now using. So if you want full word editing abilities, use Textmaker. It’s amazing! So back to what I had written, that now I have to re-write. I guess that in an ideal world, my wife would love technology but alas she hates it. So we often have debates (that’s the polite word) with me often been told to put my Exec away. To be honest, I hardly use it to the extent it takes over my life, but she never see’s it like that. Anyway, I had thought that I could have some time with my Exec to play around with the registry and alter some of my program configurations. Sadly no such chance as I am re-decorating the house inside and out and ie replastering where needed etc..So far since mid September I have installed and fully decorated a new kitchen (extended as well), added a downstairs toilet with shower, decorated the hall up and downstairs with ceramic tiles which run from the kitchen right through to the front door, and are also laid on the 2 halls floor upstairs. The stairs themselves have carpet. 2 of the 4 bedrooms have been completely re-done. I need a holiday to recover. So today after 5 hours of working in the dining room, I was only able to use my Exec for streaming internet radio. Its the end of the day, and now I am off to the gym to pump the muscles up and then relax in the steam room and jacuzzi. Back on track, or am I? I had one of those days where everything on my today screen looked ugly. So what could I do? Well, I could start by jazzing up the i-launcher settings or maybe change the today plugins. I have previously experimented with Wisbar Advance 2 by http://www.lakeridgesoftware.com. This piece of software really changes the look and feel of your PDA, but alas with my Exec it seems to eat too much system resource. Wa2 also has a plugin called Wisbar Desktop which allows total customisation of the today page. For me, when tweaking the today screen it is vital that I don’t slow down the phone aspect of the device. A lot of the fancy plugins do tend to alter speed. And too many plugins as well. On my Exec I had to decide between Spb Pocket Plus or I-Launcher. I chose I-Launcher at it seemed to use less system resource and didn’t cause any crashes. But I wondered if I could achieve a similar effect using the plugin that came with Resco Explorer 2005 Often when you own or demo as much software as I do, you end up having several pieces of software that can do the same things. It is important that you don’t operate these at the same time otherwise disaster might strike. So whilst Resco’s plugin is basic and doesn’t allow tabs or many other nifty extras like shortcut icons in the shell tray (bottom part of today screen) or a battery meter in the top bar, I can achieve some of these using other software already installed. For example, it is possible to place an icon on the top bar using Gprs Monitor, and customise the icon to display battery level and 2 other items. So slowly but surely I added additional icons into Resco’s plugin until I got to the point whereby I had achieved a similar look to i-launcher. For some unknown reason, I got a frozen white screen when I powered the Exec on. Was this resco or just a lock up? Strange as I never normally get any freezes. So what else could I easily change. I checked out Unithemes by Spbsoftwarehouse. These are wonderful looking skins for a full suite of software packages. And they are free. Each theme includes a number of programs by Spbsoftwarehouse and other standard apps. I was able to add funky skins for Windows Media player some of which displayed the album art and others that didn’t. I also changed the skin for Gprs Monitor but I forgot to save the original skin.gif file, and the vga skin didnt work on my Exec. I would be grateful if someone could email me the original skin on the Exec for this program to gavin @ pda247 dot com. Must be from the Exec. Sadly, some of the great looking today themes didn’t work on the Exec. This is due to the way wm5 handles themes. I have also bought Pocketbreeze 5 by http://www.sbsh.net. This is a stunning piece of software but it seems to swallow tons of memory until I have none left and then freezes the device. The developers at sbsh.net are working on a fix, and no doubt once this has been done, I will be able to re-install and alter the look and functionality of my device. So after several hours of changing things on my today screen, it looks different, but does exactly the same as before. What an achievement! Or was it a huge waste of time. And no doubt it will change again. I-launcher is about to be updated with new features , so I can see another change in the pipeline. Once again, I am on the train tapping away on my Exec keyboard. I really love typing on this device and viewing the magnificent screen. I am really excited, as I read that an update to Pocketbreeze 5 is only a week away. I am hoping it will fix the memory problems and allow me to use fully. Over the weekend I had discussed Textmaker and Unithemes amongst other items, so if you missed these, do look back over the archives. I was debating how I manage memory usage on my sd card. Why? Well, with all the various software packages installed, there are normally bundles of skinning options. I have now set up a folder called skins, with sub folders for the various programs. The difference is I am keeping the skins either as zip or rar files. If I need to change a skin, I simply copy the skin out of the compressed file and place it in the correct place. For those that use rar files, a freeware program to uncompress and compress these files is pocketrar, available at http://www.rarlab.com. On the subject of skins, I really hope microsoft release the skinning guide/program for wm5 devices. Shaun McGill mentioned using mydigiguide in conjunction with Avantgo. Sadly Avantgo is not wm5 compatible. I even tried installing Avantgo but had major problems with the font sizes and the latest version for wm5 is only in alpha stages, not beta. If you have isilo, I believe you can retrieve listings with this program. As another alternative, I have been using Radio Times guide for Pocket PC. It is a standalone application, which also needs updating to work properly on wm5 devices. Goto http://www.radiotimes.com/pda. The work around is to run desktop installer which once installed isnt able to retrieve settings or update the program. This is a similar issue to Avantgo. So I had to copy the cab file across onto my device, and then install directly. After installation, I had to open file explorer and located the directory where the program had been installed. With the Radio Times folder there is another exe file called Radio Times Sync.exe. Tap on this, set up account settings and sync from this bit to update the program. Now you can open up the main Radio Times application and use the sync option from within the main program. The infra red remote control bit doesn’t work and some of the settings freeze when amending them on the device. These can be altered from by logging onto the internet and adjusting your settings. Despite this not being a VGA application, it does work and provide very useful information. Also, the layout is great with a choice of list view or grid view. Plus you can view by Radio Times choices, your favourites and films. So I have lasted nearly two weeks using my Exec as the sole device, and despite a few wobbly moments it’s going much better than anticipated. I have been travelling all day on the London Underground, off on foot to a meeting and then on to my next meeting. I had 5 meetings today, starting at 8.00am and finishing by 10.00pm. Thankfully, I have Tube 2 London Streets by http://www.visualit.co.uk. This has an interactive London Underground tube map. I was able to plot the start and end points and watch the map move along the train lines until the destination was reached. In addition it calculates the journey time. With the London streets version you get a rail map and an A-Z Street Map. This integrates into the tube map with amazing ease. Simply tap on the destination station and info regarding that station appears along with a green arrow. Tapping on this brings up the A-Z exactly at your destination station. I was then able to search for the road. This is a very nifty program. One of my destination was near Trafalgar square. I thought it would be interesting to try the panaromic option on the camera. Using this option allows you to join up to 6 photos together to create one huge one, and in my case I created a wonderful span of Trafalgar Square. Does your XDA ring long enough for you to pick up the call? Well based on my experience so far with my Exec, I wished it would ring longer. There is a simple workaround (thanks to Neil). Call O2 Support and ask for technical support. Ask them to increase th duration of rings before the call transfers to voicemail etc. What a difference this makes. The other interesting thing I have noticed is the 3g speed. Believe it or not I discovered that O2 operate 3g at either 128 or 384. 384 is the speed we all should have but most I have found that a large percentage will be running at the lower option. Once again a call to technical support solved this problem. So apart from emails, internet surfing reading rss news feeds and checking the weather, whatever are the other vital applications? 3 guesses. Games of course. I previously had a XDA IIs which I sold to Shaun who by return sold it to Neil. We tend to keep things in the family at Windowsmobile247!!!! :-). This had a qvga screen. Prior to this I had a HP 4700, which is vga. So I already have had experience of games on a ppc phone and a vga device. The problem arises having vga and a ppc phone, and then wm5, so enter the Exec. The number of games that work well on the Exec are no where as many that I could play on my XDA IIs. But it’s definitely not all doom and gloom. In fact get it right and the vga experience is stunning. Move over psp. Damm it. Textmaker froze and again I have lost half my blog. Anyway, some of my vga games include Ancient Evil , Super Slyder, Ultimate Bowling Fighter and Gamehouse Solitaire. (links are, http://www.ppcstudios.com, http://www.astraware.com x2 and http://www.pdamill.com). Ancient Evil is a role playing game and requires some skill to install as it has not been updated to wm5. To install it I doubled clicked on the exe file and accepted the license agreement etc and then the installation started. Suddenly, I was faced with an error message saying active sync failed to install. Ignore this. Then, the add/remove programs start and you must change location from main memory to sd card. Next it appears as if the game is being installed on the card. Then myExec said installation was unsuccessful. In fact, what has happened is the cab file has simply been copied to the sd card. Now tap on the av.cab file using file explorer and the installation will start. After installation go to file explorer again and delete the cab file. It is important to noted that you will need 105mb free to install since the cab file is just over 50mb and the game is a similar size. Now I off to do battle in the dungeons. Warning. Don’t drop the Exec stylus. The end tip always breaks off. I have broken 3 since I have had the device. Well actually, 1 fell out and 2 broke. The included stylus simply gets too lose and then it just simply falls out. This is most bizarre as I have not had these kind of problems with earlier devices. Why can’t we have the palm push in/push out stylus? The only solution to stop my stylus from falling out, was using a 3-1 stylus by Brando Shopping. It was a bit tighter fit and never fell out or worked its way lose. The XDA foums are very active, so please keep asking questions, no matter if the seem trivial or complex. I had a really long session playing Ancient Evil vga. I had the qvga version on my old device, but its no comparison to the graphics etc on a vga device. I found the game so engrossing that I put my phone in flight mode. No more annoying calls! I had some good news regarding a replacement battery for the Exec. Lion Battery (www.lionbattery.com) sell Mugen Battieries and I have capacity one should be available around xmas. I am finding that in daily use I running my battery really low, and I could do with a second. The other problem is how do I charge my device and 2nd battery at the same time. Even if I bought a replacement battery, in would have to charge each battery in the Exec. It’s going to be a quiet weekend in terms of computer use, due to various commitments. Its been a busy weekend, with my mum’s surprise 60th and DIY. I was lucky enough to have Saturday night to myself and my wife was on a xmas party, so I had quality time with my Exec. I spent most of this beta testing a few new games from Astraware whilst watching X-Factor. Then I tried Ancient Evil which seemed a little sluggish. So I switched to Arvale and I was in Grand Prix mode moving very spritely across the screen. I ended up playing this for several hours – too addictive in my opinion. Talking of games, I had the pleasure of playing the X-BOX 360 and all I can say is ‘holy s**t’ it really smokes like a demon. Awesome piece of kit. So for the remainder of Saturday, I played a few more games, but I did leave my Exec at home when out at lunch. I really felt naked without it, and if it had been any more than 3 hours I would have needed to see a doctor. Sunday was more mundane with tons of decorating. Luckily for me , I ended up listening to internet radio via the Exec. This works really well and even better with the phone in flight mode. I have been also trying a new weather program called fizztraveller. I know Shaun McGill had written a review, but in my opinion this is clearly one of the best weather programs and the only program that doesn’t like the stylus. It really uses the soft keys properly in wm5. So onto the sound quality of the Exec versus and iPod. Well I had finished my workout and one of the guys asked what my device was ; I happily obliged. When it came to the sound quality, I was asked if I had any Iron Maiden, which I did. I cranked the volume up in wmp10, passed across my sennheiser headphones, and I was told it played and sounded better than an iPod. It also didn’t skip tunes when playing and multitasking. Hi again. Its been a long weekend and I have been very busy. Naturally, the Exec has been part of my routine. On yesterday’s news, Sunnysoft Backup Manager was mentioned as the only Windows Mobile 5 compatible backup solution. Whilst, from reading other peoples views on this software, it is definitely not 100% perfect. This has made me nervous, since Activesync 4 onwards has removed the option to backup to pc. I am still waiting on Sprite Software to update their products. I am hoping it is as good as previous offerings, since Sprite Backup Premium Edition performed perfectly. I know because I used it at least 20 times. So I am using my Exec without any backup. So if something happens, I have to wait until I get home any resync my pim information. Well, here’s a great bit of news, it is possible to backup pim information on a WM5 device without any third party software, to SD card or wherever. How? Using the built in file explorer, look for pim.vol or just pim in the root folder. If you can’t see it, go to the options in File Explorer and select show all/or unhide hidden files. Now copy pim.vol to SD card. 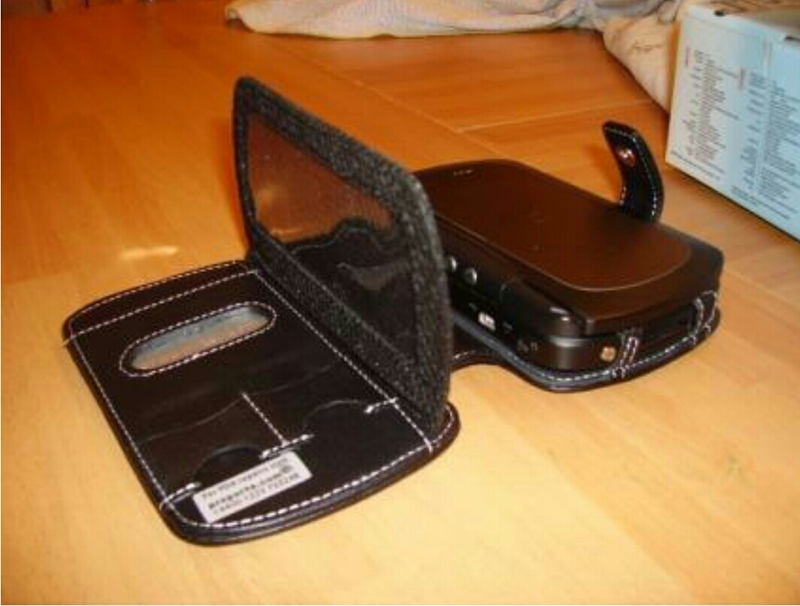 You know have a backup of your pim information on you SD card. After a hard reset. Rename pim.vol. Copy using file explorer again, the pim.vol on SD card to root directory. Using a third party software, eg psshutXP, soft reset device. Now delete renamed pim file. Old pim data back on device. Time to sleep again. My favourite plugin has been updated. Pocketbreeze nows works really well on my Exec. And with the custom tabs makes a superb addition to my today screen. I actually have Egress (rss newsreader) built into Pocketbreeze as a custom tab. I was thinking about selling my Exec. Not that I am unhappy with it, simply I have done everything possible and need a new challenge. Sadly, there are no contenders out there, so I will just have to see what goodies the new rom will provide; hopefully high quality Bluetooth stereo and push email. Good day, evening or morning. A new store has opened up next to where I work, and all the sell is iPods and accessories. It is amazing to see what you can add to your device. My key consideration was sound quality versus my Exec. I was allowed to test a Nano using my sennheiser headphones. It was a very close call. I would say that the Nano was marginally better with some music , but the Exec excelled with others. However, as soon did the comparison with Pocketmusic Pro, the Exec in my opinion was superior. I know your views may differ. The test was carried out using Joss Stone, G4, and Madonna. In my previous blogs I had raved about the today plugins by http://www.sbsh.net . These include Pocketbreeze 5, i-Launcher, Pocketweather and Contactbreeze. These are all stunning applications and offer brilliant support. I cannot live without these applications on my Exec. More amazing was their key developer Amit Regev, (based in Israel) had followed a link on my signature to my sister’s website ( http://www.justinelaymond.com) and left a lovely message of support. Just shows that a great person creates a great company! Tweaks2k2 got updated yesterday and added a tweak to improve the cache on Windows Mobile 5 devices. The net result is a machine that works 20% faster. And it really does make a difference. Ever switch or close of an application is quicker. The End. Now this may seem like a strange beginning, but more will be revealed later. Confused, try not to be. My XDA Exec has been loyal but with some failings which were really highlighted when I got a chance to play with a Palm Tungsten TX. Now I know you are all thinking, the Exec is far more powerful, has 101 better specs, its a phone, its 3g, vga and the list is just endless. Even the keyboard which I am using to type this review is rock solid. So what happened. As I have been providing daily blogs of my Exec usage , this has really focused my mind on how long things took, the inherent problems which I worked around where possible. My friend Shaun moved from his Pocket PC phone a Treo 650. That got me thinking. And then the final straw. I was in Micro Anvika in Tottenham Court Road and asked to play with the Tungsten TX. As a brief potted history my last palm was a Tungsten T3. I hated the slider. Then I moved to a hp4700, xda Iis and then an xda exec. So I spent nearly an hour with the TX. What was wrong. The TX was so fast it was scary fast. None of the previous or current devices were able to react as quick. The music quality was brilliant through my sennheiser headphones. In fact I just had to have it. Technically it not on par with the Exec but it just is superior in use. The best way I can describe the difference. The Exec can multi task. The TX has completed the tasks without the need for multitasking. Also, I loaded Agendus by http://www.iambic.com For my pim controls and it simply works far more effectively and with amazing simplicity than any other third party offering from pocket pc. (pocketbreeze 5 got close). Also, I have started to load other palm software and everything seems so much more fun. Tons of graphic customization . And no soft resets!! So I have upgraded my XDA Exec for a Tungsten TX and a Sony Ericsson K750i. So now its time to remember all my palm os tricks. Its a fun road ahead. Well a few more days with the TX has proven I was very right in my move. This paragraph has been written using graffitti 2. Its taken about 10 minutes to master. Its not as sluggish as pocket pc. In fact its a dream to use. Also with the TX I dont have to soft reset 3 times a day. In fact I dont reset at all. No PDA is perfect but the TX is nearly there. TCPMP also seems to work better on palm os. Now any useful tips would be handy as its been a long time since I have used a palm. Mind you I have installed over 63 apps. Ps. I was thinking about providing a heat and height test on the XDA Exec. And interested parties? Eg blow torch , drop from a roof top. 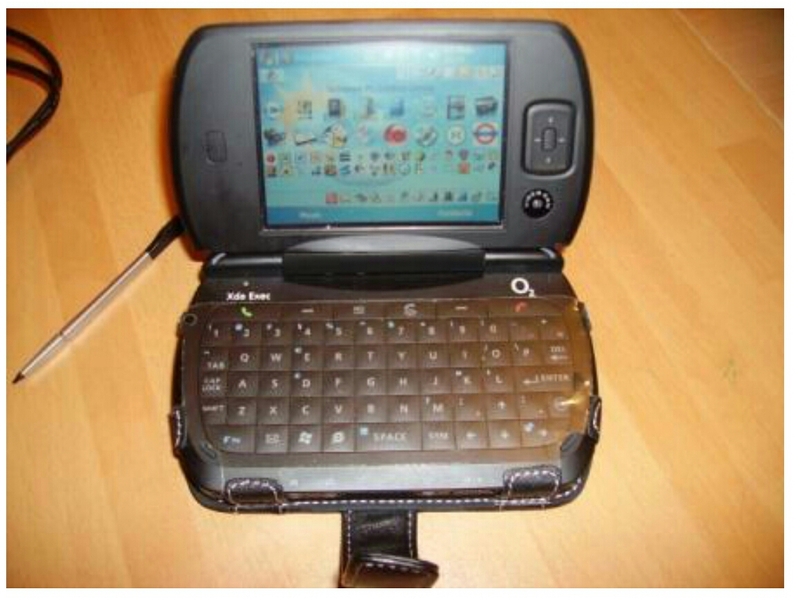 A wonderful device and I had one but sold it to an overseas charity worker who wanted mainly for Skype. I really hope someone develop such a keyboard or Nokia Communicator style device again. The modern BlackBerry devices are an okay option but I like the clamshell form factor.